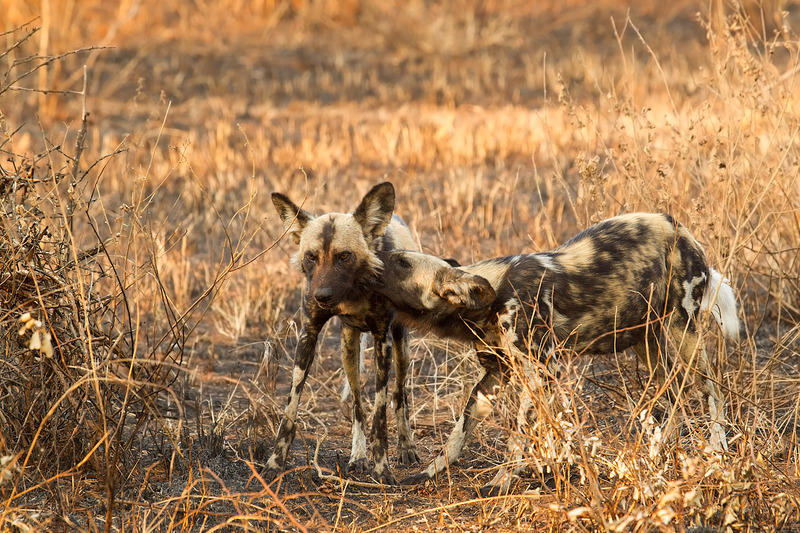 Sable Dam & Satara – Wild Dogs! When we left the picnic site after breakfast veld on either side was dry and dusty and seemingly devoid of any life. 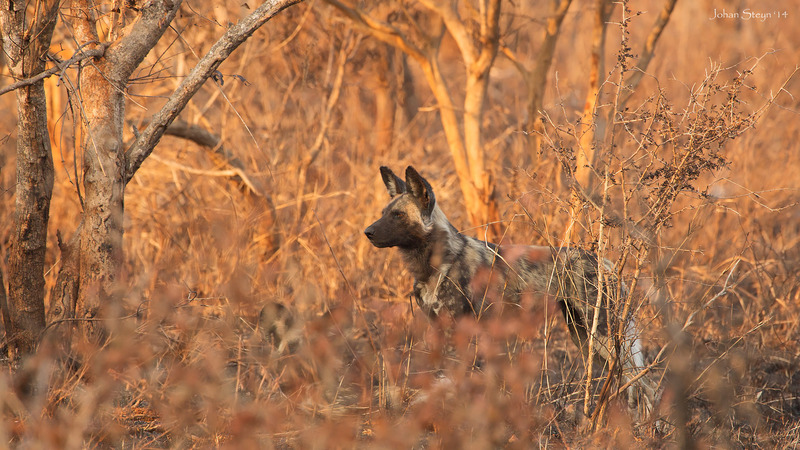 Then, as it happens in the Kruger Park, we turned a corner and everything changed. 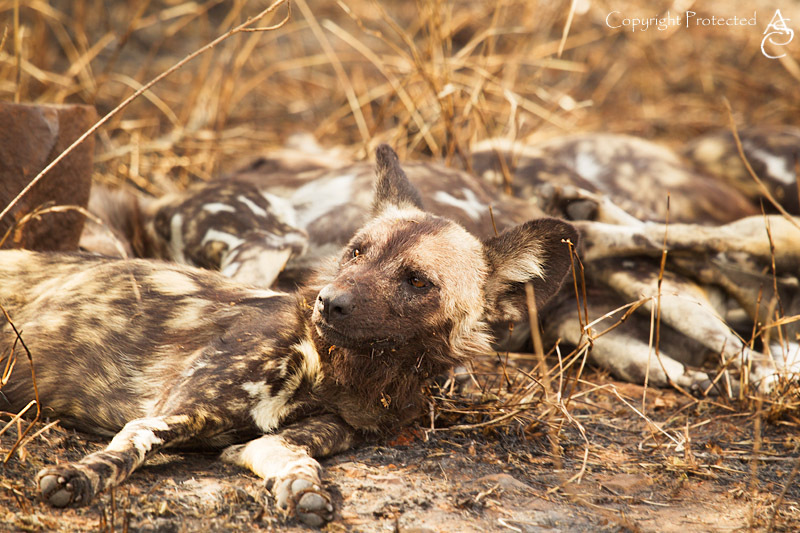 A few cars were parked by the side of the road, and just off the road, under the trees, were the wild dog pack from the previous night, looking very sleepy and relaxed. We took a few quick snaps, but soon decided that sleepy dogs in harsh light will never make truly stunning photos. Wild dogs usually sleep during the day. 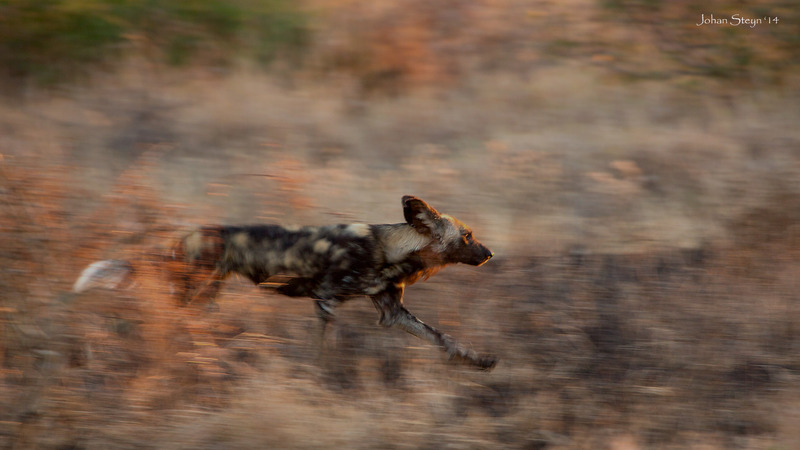 They wake up in the late afternoon, play for a few minutes, and then move off to hunt. Knowing this, we let the sleeping dogs lie (ha ha) and left, planning to return around 3 in the afternoon, and then wait for them to get up and start playing. We went back to the camp, freshened up, had some ice-cream, and then went back to the dogs. 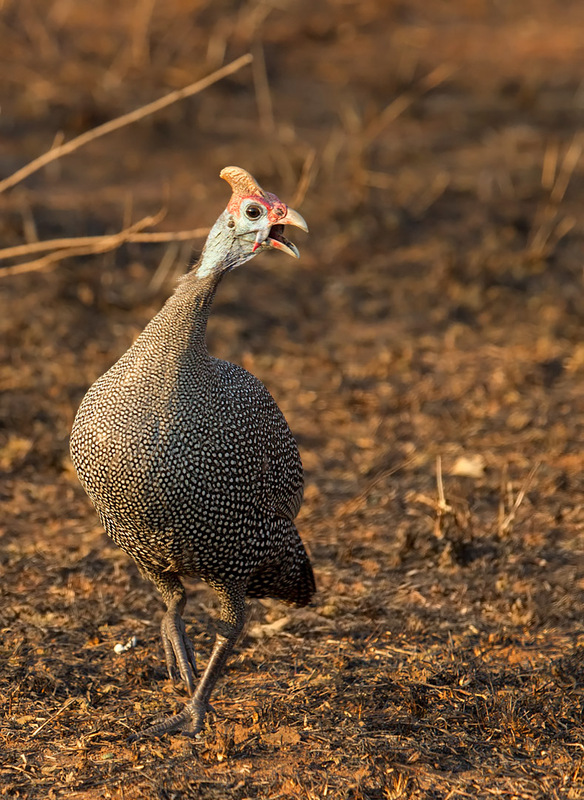 We waited about an hour, during which we at least got to photograph a rasp of guineafowl the moved past, briefly getting agitated when the saw the dogs. The dog closest to the road briefly woke up, and stared at the guineafowl for a few minutes before falling back to sleep. 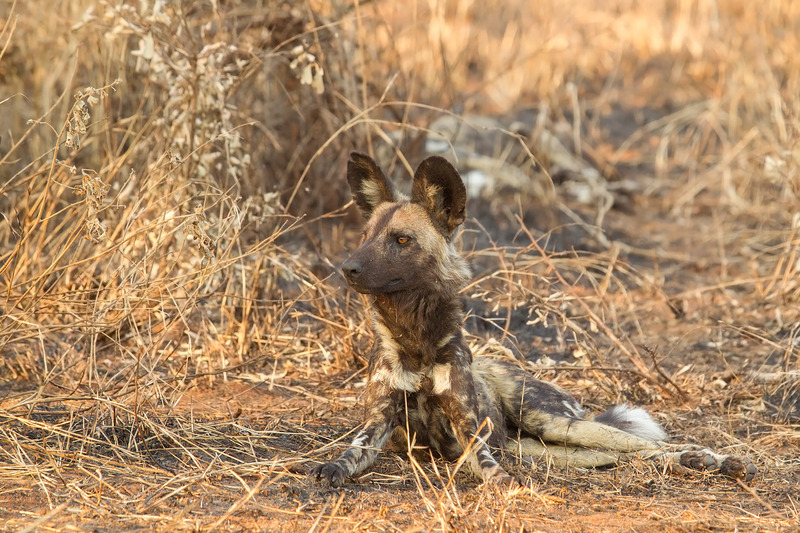 Then, one of the dogs sleeping further away from the road got up and went to wake up one of its fellows. Their activity seemed to rouse the other dogs, and suddenly the entire pack seemed to come alive..
We managed to get a few more shots before they moved off into the bushes and we left the area with broad smiles on our faces. 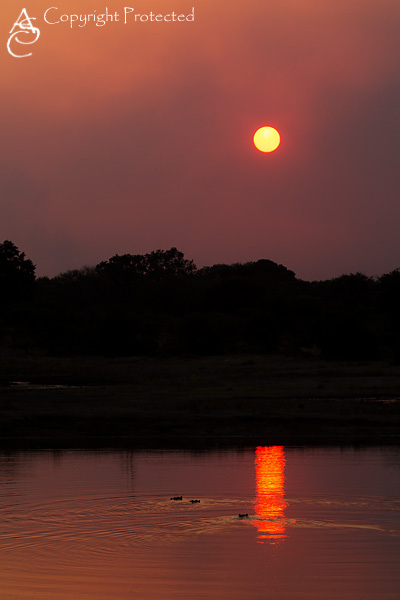 On our way back to the camp, we passed the Nsmani dam, with the sun setting spectacularly through the smoke of distant velt-fires. A perfect end to a fabulous day!